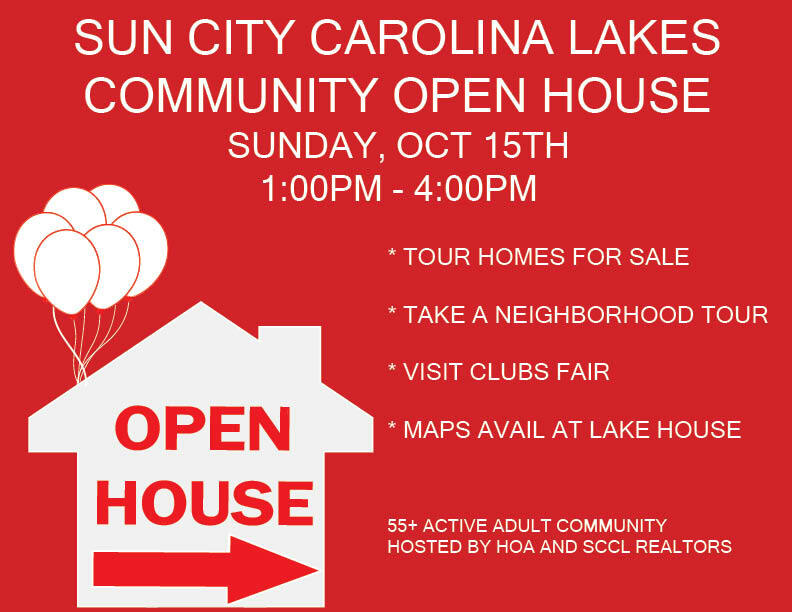 Sun City Community Open House Oct 15th! ← Why I Love Living in Sun City Carolina Lakes! Meet members of the community clubs and special interest groups. This event is open to the public. SCCL is a 55+ community. Contact Team Pogue with questions at 803-504-1111. We hope to see you there!